It would seem we are taking another Chinese dog! Cloud is now released from the vet and in the holding kennel, waiting for his travel paperwork and veterinary paperwork to be organised. He has been kennelled with a girl, Charity, and she too will be ready to travel when he does . . . except nobody has offered her a place yet... until now. 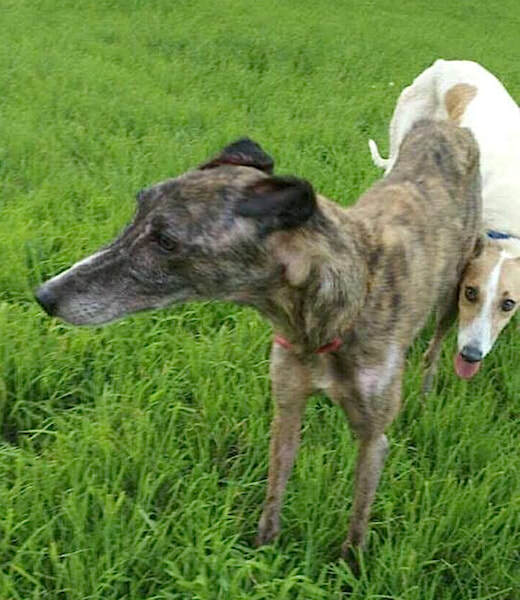 Northampton Homes for Hounds will take them both (probably arriving beginning of October). As Frankie is still feeding pups and cannot start her travel preparations until they are weaned, she will follow on at a later date. Candy Cane Rescue in China, will kindly fund the extra flight for Frankie!